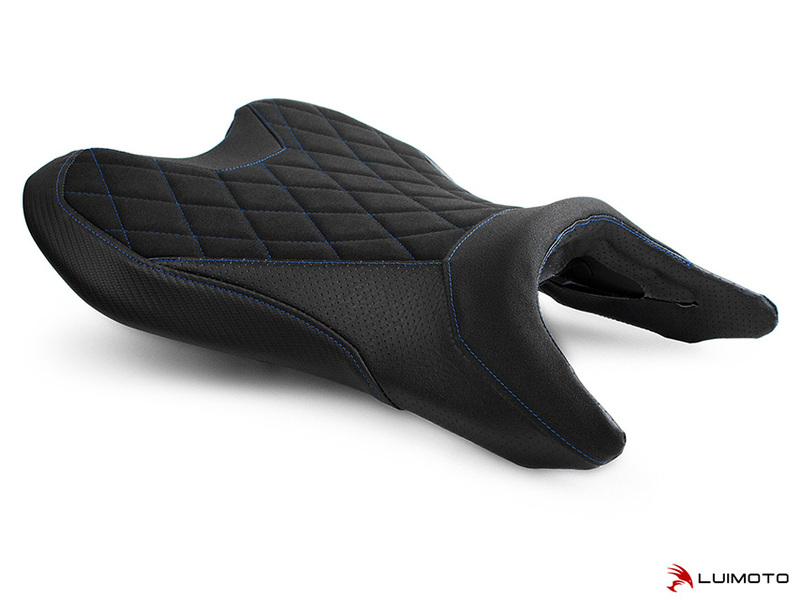 Introducing the Diamond Edition Seat Cover for your MT-07! Featuring a luxurious synthetic suede seating surface quilted with our famous diamond stitching. 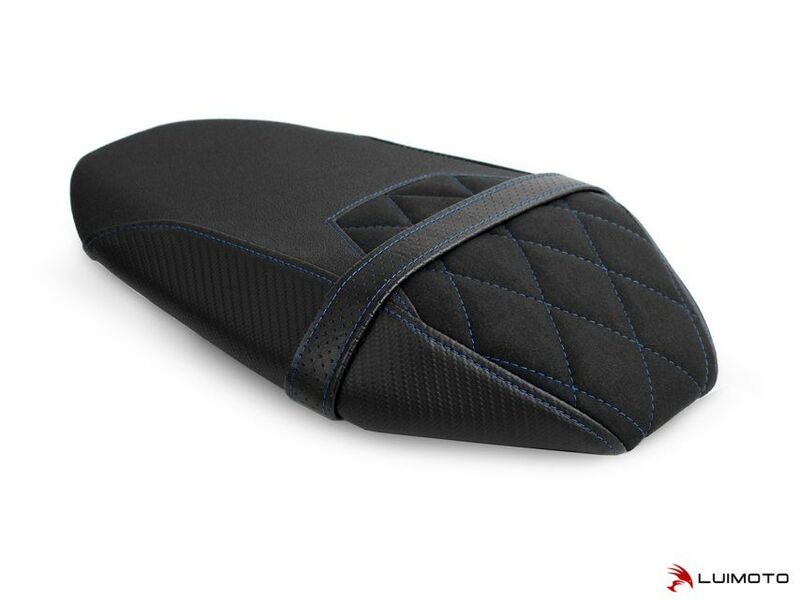 Tec-grip, perforated black, and carbon fiber look panels add style to your ride. The entire seat cover is contrast stitched for a totally custom look. Stand out with the finishing touch of Luimoto! Introducing the Diamond Edition Seat Cover for your MT-07! Featuring a luxurious synthetic suede front panel quilted with our famous diamond stitching. Tec-grip, perforated black, and carbon fiber look panels add style to your ride. The entire seat cover is contrast stitched for a totally custom look. Stand out with the finishing touch of Luimoto!